How does an idea that Exxon didn’t want turn into nearly a billion dollar business? James Cusumano is the co-founder of Catalytica. When the company he worked for thought his idea was too small for it, he decided to launch a startup and pursue it on his own. What’s Catalytica? Well, if you’ve ever used Neosporin®, Sudafed®, and Actifed® there’s a good chance that his company made it. It manufactured drugs and developed a low cost pharmaceutical process and we’re going to find out about how he built that business. More recently, James wrote Balance: The Business-Life Connection which provides a proven template for creating successful business and simultaneously long-term balance and fulfillment in your life. James Cusumano is the co-founder of Catalytica, Inc. and developer of Chateau Mcely, an award-winning luxury castle, spa hotel and forest retreat. Andrew: Coming up, do you believe, I mean really believe, in a work life balance? Well, I asked the questions that you really wonder about it, but are too polite to bring up. I’ll bring them up towards the latter part of this interview. Also, are you trying for to many homeruns? You will want to see what today’s guest did instead, it might change your approach to business. Also, finally, you’ll never guess who today’s guest, oh, that’s a lot of G words. You’ll never guess who today’s guest had as a neighbor? But you’ll find out towards the end of the interview, all that and so much more is coming up. Listen up, I hate to have commercials interrupt this interview so I’m going to tell you about three sponsors quickly now, and then we’ll go right into the program. Starting with Walker Corporate Law, if you need a lawyer who understands the start-up world and the tech community I want you to go to walkercorporatelaw.com. Next I want to tell you Shopify, when your friend asks you, how can I sell something online, I want you to send them to Shopify and explain to them that Shopify stores are easy to set up, they increase sales, and they’ll make your friend’s products look great, Shopify. Finally I want to tell you about Grasshopper. Do you want a phone number that people can call and then press 1 for sales, 2 for tech support, etcetera, and have all the calls be routed to the right person’s cell phone? Well get your number from Grasshopper.com. All right, let’s get started. 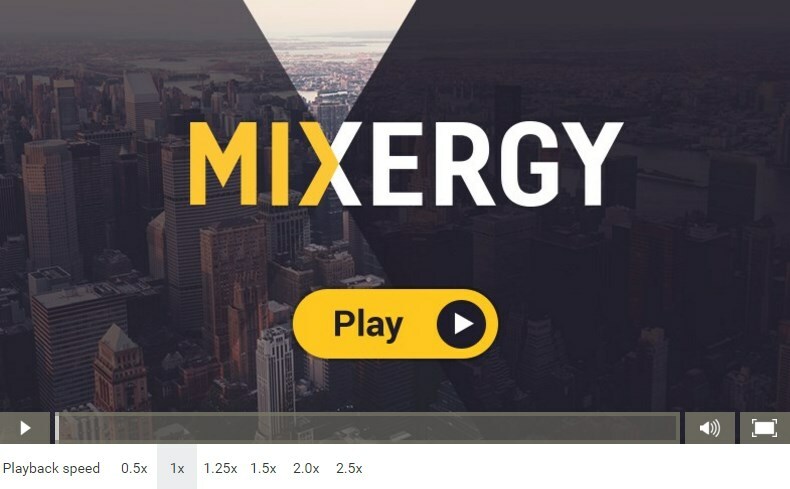 Hello freedom fighters my name is Andrew Warner, I’m the founder of Mixergy.com, home of the ambitious upstart. Hey, how does an idea that Exxon didn’t want turn into nearly a billion dollar business? James Cusumano is the co-founder of Catalytica. When the company he worked for thought his idea was too small for it, he decided to launch a startup and pursue it on his own. What’s Catalytica? Well, if you ever used Neosporin, Sudafed and Actifed, there’s a good chance that his company made it. It manufactured drugs and developed a low cost pharmaceutical process and we’re going to find out about how he built that business. It also, actually, and I don’t see that in my notes, but I remember it from going over this. It also developed clean power generation, that’s the other part of his business. All right, more recently though, James wrote Balance, the business life connection which provides a proven template for creating successful business and simultaneously long-term balance and fulfillment in your life. James, I went really long with this intro, that’s why it took me so long to get through it, but I left so much out. First of all, thanks for doing this. James: I am in life #5. Andrew: No kidding. Life #1, or maybe it’s not even #1, but early on you created this bump. I’m listening to this song right now in the back ground, Short Shorts. That’s you. James: Yeah, actually I signed with a group called the Royal Teens, recorded at…actually, long before you were born. You probably heard it because they use it for an air [SP] commercial. Andrew: I heard it when I used to listen to the oldies station on the radio, who wears short shor, that was you singing it. Andrew: That was you, Dino. James: That was Dino, yes. Andrew: The Dino of you. How does a guy who sings that, who’s on television, who’s a rock star, end up at Exxon? James: Well, it’s because I had two loves as a kid and I discovered them quite early. One was, I lived in Elizabeth, New Jersey, where I was born and grew up most of my young life. And I was very interested in science and my father bought me a chemistry set, that’s how I got into the science part, for Christmas one time. The other is that I’m the oldest of 10 children and by any common standards now we didn’t have very much money so we all had to go to work when we were about 10 or 12 years old. I didn’t like working outside as a newspaper boy which I did or selling fruits and vegetables in the Italian Market so I took piano lessons to start a band like the Props [SP]. Next thing you know I was writing…this is the heart of rock and roll right across from Manhattan. I was writing rock and roll music and selling it across the bridge in Manhattan to doo wop groups. And that’s how I eventually made it into rock and roll, and I loved both. The entertainment and science and technology have sort of followed me through my whole life and like both of them but I knew that my real passion was to be in science and technology to build companies. I didn’t realize that until I had gone to work for Exxon and worked in a large corporation that I really had to get back into the entrepreneurial thing. Andrew: Wow. And when you got that chemistry kit as a kid, from what I understand, you started making cosmetics? James: Yeah, what happened was, you know how boys are, after you get through the business of making rockets and fireworks and stink bombs and all the other stuff that you could do with chemistry sets that were made during the 50’s and 60’s. This was before the Environmental Protection Agency so you could make gunpowder and all kinds of things. After I got done doing that, I went to the library and I found a book, 1001 Recipes. And it was all kinds of things like cosmetics, (_______), you name it, and I started making these things in my, we lived in a two family home in Elizabeth. My grandmother owned it. We had a cellar there and I had a little lab and I started bottling cosmetics that I was making and selling them in the neighborhood. What really got me so excited and pushed my spirit, even as a young nine, ten year old, was that somebody was willing to pay for something that I had made, technology, and they were willing to pay for it. I didn’t think of it then, but it was so exciting that I think that was the spark that started it. Andrew: And so I see the entrepreneurial side of you. I see the creative part of you. I see the science part of you, already there early on in your life. You end up at Exxon and you have this idea that you take back to the higher ups. What was the idea? Andrew: I want to make sure to really understand everything before we continue here. Starting with, what is this process that you developed? I hate to be open about my ignorance with all these people watching us, but I’ll just say it. I don’t understand it. How would you explain it to, say, a nine year old? james: Well, first of all, let me make something really quick. What happened was we developed a process at Exxon (________) a presentation to the President of Exxon, Exxon Engineering, and he said that they weren’t interested. But that process wasn’t the one we took out. We didn’t license after (________). What we discovered is, our capability, which is Catalytic Science, now a catalyst is something that speeds up a chemical reaction, plus the other cool thing about a catalyst is the world was beginning to enter the field of molecularly designed catalyst. We designed them at the nano scale and had them selectively make only the products you want. So we became experts at a selective catalytic conversion prophecies and we said, “You know, if we can do that, we can save people lots of money and eventually …,” so it was a general knowledge base that we had. Andrew: I see. It wasn’t a specific process that you developed for Exxon. You just said, “We’re the experts at this. This is where the world is going. Let’s bring this out to the world and build a start up around it. Do you have a concrete example of a use of the catalytic process? James: Sure. All of the plastics that you know, polystyrene, polyethylene, polypropylene, they’re all made with molecular catalysts. Even something as simple as oil margarine is made by hydrogenation using a catalyst. Gasoline, all of the energy fuels, they require catalytic technology to make them. The problem is the old catalytic systems that were developed during the’ 20s, ’30s and ’40s, maybe even the ’50s, they not only made the product you want they made a lot of toxic by-products. And so just like genetic engineering was developing catalytic engineering, molecular engineering of catalysts, was developing so that we could go down at the molecular level, design a catalyst and make things selectively. And that’s what our expertise was. Andrew: OK, and as you said this was 1974, the world didn’t have the venture capitalists and accelerators that we have today who are just throwing money at anyone with an idea, what did you do for funding? James: Well, here’s what happened, this was right after the Arab embargo when I guess it was the Yom Kipppur war and the Arabs decided they weren’t going to ship any kind of petroleum to anybody who sympathized with Israel at that time. So Japan, the United States, I don’t know if you’ve ever read about this but there were huge lines of people waiting at gas stations to try to fill up their cars to get a few gallons. So this was a tough time and there was no venture capital so we raised. There were 3 of us, myself, Ricardo Levy, my partner from Exxon, and a professor from Stanford University who was a world authority in catalytic science and happened to be the thesis adviser for Ricardo at Stanford when he got his PhD and also a consultant to my group at Exxon, that’s how the three of us knew each other. So we put $10,000 in a piece and we said OK we’re going to go out to Silicon Valley, it was December of 1974, we’re going to open an office and we’re going to start consulting. And lo and behold we were able to convince the Department of Energy, then called ERDA, Energy Research Development Administration, and the Electric Power Research Institute to give us a $200,000 contract. This is when we discovered cash flow because we thought we were going to get paid on a monthly basis and as the government works you don’t get paid until the whole project’s done and then they have to be sure it’s right. So that’s when we discovered that we had to get a relationship with a bank and so we did that and had a little . . .
Andrew: That’s how you solved that because a bank will give you money up front if you have a contract with the government, they feel like that’s a safe bet? James: Exactly. So we were able to get a line of credit, eventually learned about cash flow, and then we made the transition to consulting for large Fortune 500 companies. Many of the contacts were made by Michel Boudart who is the professor at Stanford now. He seems like he knew all of these people around the world and he would open the door, Ricardo and I would go in and do our little sales job and then we would go back and do the work. Then as we got more and more profitable we had more and more people from around the world . . .
Andrew: So Michel was the partner who was just there to open up doors and give you credibility and guidance? James: Exactly. He was one of the premier professors in the world in catalytic science. Andrew: I see. And how did he know so many people? James: Well because he went to meetings, made lots of presentations, he consulted for lots of companies, very large companies all around the world. He had a sterling reputation, he was nominated for the Nobel Prize several times and unfortunately never got it before he passed away. But it was that kind of ability that gave Ricardo and I, because we were young guys, I only worked at Exxon 7 years. I had a number of publications but I was still young, I think I was 32 years old when we walked out the door and started Catalytica. Andrew: You know what, I remember actually, I used to read as a kid Jeffrey Archer novels and I think in at least 2 of those novels there’s a situation like that. A young guy who had no credibility partnered up with someone who was older who had lots of credibility but no energy and no interest in starting a company and the older guy would get a small share of the business and the younger guy would run it. What share of the business do you give to someone like Michel for something like this? James: Well actually we did something very generous I think, all of us, because it’s really hard to put a figure on what he did in terms of allowing us to get off the ground. When we started this we did a third, a third, a third in terms of ownership of the company. And as we went on some of the challenges we got into were because he was much older and wanted to take money out of the company, we could care less, we were trying to build this beautiful thing, we weren’t thinking about making tons of money. We were thinking about just building this wonderful company and that posed a little bit of a challenge, but we got through it because we had tremendous respect, that’s the up thing. The three of us had really tremendous respect for each other personally. In fact, Ricardo, to this very day, is my very closest friend. We were business partners for almost 30 years and that’s very unusual. Andrew: Okay. How do you get the rest of your…is it all Michel for the first few years introducing you to customers? James: No, actually, what happened was, maybe the first three or four years Michel helped us a lot. After that we developed our own credibility because we started making companies millions of dollars. I mean we’d go in and work on a process for Merck. And help them fine tune their catalysts and all of a sudden the yield of drug they were making were the intermediates to make the drug went up by 20% and that was equivalent to a huge amount of money. So we did that many, many times and that developed the credibility that we knew what we were doing. We also were able to bring in some incredibly bright people to compliment ourselves all over the world. I remember time we had 32 languages in Catalytic, so we had people from everywhere. We just hired the best people we could find from any country. And then, what happened was, we started saying, you know, if we really want to make an impact we’ve got to get out of this consulting, we have to get in contract research and start developing our own technology. And that was around 1982. And that was a tough decision because the only way we could do that is Century Capital was coming up again, and was to raise metric capital. Which meant giving away control of the company and I don’t know if you’ve ever gone through that, but anyone that’s gone public or built an venture-based company, when you all of a sudden start giving away company and arguing back about how much it’s worth and all of that sort of thing, that’s a tough emotional roller coaster. But we were lucky, we got some extremely good venture capitalists and they were in it for long haul with us. And in the end they made a lot of money. Andrew: What sizes of revenues were you doing at the time went for venture capital? James: We were doing, 1983 we were doing $20,000,000 a year and we were profitable. And it was a well-run company and so the venture capital…the first group we had was a Mayfield [??] and they put in $3,000,000 and then we got Lupers Oil Corporation from Cleveland and they put in $18,000,000, and then we got the Rothschild’s from England, they had a bio-tech bond and they were interested in us and they put in money. So that got us going, but then we started burning cash, we were no longer profitable [??]. With our own technology, we were a venture financed company and that’s when we ran to a very interesting challenge. The way I like to say it, we were working on projects that were all homeruns. They would all change the world, towards the [??]. We were working on catalytic process that would do away with LNG Tankers, liquefied natural gas which are very dangerous. And this technology would allow you to take directly out of the ground natural gas and pass it through a catalytic device and convert it into fuels. Which means you could ship it without refrigeration; it wouldn’t be explosive, and all of that sort of stuff. But a very challenging technology. The other thing we were working on, a homerun, was a catalytic combustion of fuels with no pollution, zero pollution. And that also was tough. So we were burning cash and we started to sense that the investors were beginning to get a little tired. And not just the Metro Capitalist, but other people who were there, and so we decided, we better hit a couple singles instead just homeruns, to use a baseball analogy. And that’s when we said to ourselves, what area could we make a big impact and I looked around and studied some different things and we decided on pharmaceutical. Pharmaceutical would be the area because every drug company, I don’t know how it is now, but certainly when we were in the business, they would send a scientist in the laboratory to design a molecule, to train certain disease, and they didn’t care to much how they made that molecule because they only wanted small amount to test on mice, dogs, and whatever, to do clinical trials. Sometimes it took 10 steps, maybe more, to make a particular molecule. So if you get 50% yield on each one of them 10 steps and you take .5 to the 10th power you don’t have very much stuff left at the end. Plus, you get a lot of waste and they used a lot of toxic materials. What we said is we can make these molecules for you in fewer steps and try and do away with a lot of those toxic materials. So I went to Pfizer they didn’t know who we were, so I said give us some of your toughest molecule. We went away came back six months later with a process that made some of these molecules much easier and much cheaper. And Pfizer turned around and said we’d like to invest in your company and they invested $14,000,000 in order to get access to some of our research. So that helped tremendously in terms of credibility and those singles were really starting to make processes that could make a drug molecule simpler. But this was only in the laboratory and designing the process, we wanted to get into manufacturing. Andrew: By the way, when you were a musician . . .
Andrew: . . . and working at Exxon, someone came up to you. This girl came over and said can you please give me your signature Dino and everyone’s watching you and you’re handing over a signature and you’re kind of a celebrity that even a teenage girl would understand what you do. What’s it like to then switch to this technology that a guy like me who has researched you sometimes has, not sometimes, often has trouble understanding it? What’s it like? James: What’s it like to . . .
Andrew: To switch to work on technology that the average person doesn’t understand. James: . . . well, I would say this, there’s two things. One is I guess I’ve always had such a tremendous desire to make an impact on the world that when I found out catalytic technology could do that I fell in love with it and I did my PhD in that area. What I have done though is I’ve tried to, in the number of articles I write, I write an article every two months for a magazine called ‘Leaders Magazine’, and I try to write about things that are complex and make them in simple language. Which is not always easy to do. It never bothered me but I think it is an interesting challenge to try to communicate to the intelligent person but maybe somebody who has no technical background what-so-ever, why is a catalytic system that makes high octane gasoline important? Why is a catalytic system that makes a particular drug, like Prozac or even any of the others that Pfizer was making, why is it so important? And it’s real important because if they didn’t have these catalytic systems it would be terribly expensive. In fact that’s what drove our people. The dream we had when we started getting in to pharmaceuticals was, we’re making products that are cleaner and cheaper. Everybody has a grandmother who had to go to the pharmacy and spend God knows how much money on prescription drugs and so that was a motivating force for our employees. To be able to make things cheaper and cleaner. Andrew: When I try to explain a tough concept to the audience or frankly just communicate it quickly to my audience I look for something that they touch and relate it to them. That’s why all the research that I did on you and all the thousands of words you heard that Jeremy put together for me based on his pre-interview with you – I found three words and I thought alright that’s going to help: Neosporin, Sudafed, and Actifed. People in the audience have touched that, they’ve seen it, they know what it is and so if I can connect your story to that, then it’ll be easy for them to picture what you did. What’s another way that you make tough concepts simple for people to understand? How do you do it? James: Usually with pictures. It’s something that people will generally understand is drawing simplified but truthful pictures about how a system works. How some molecules sit down upon a surface, how they recombine to form a desirable product. That’s one way. But you’re right – things like Neosporin – which by the way, these were over the counter drugs and they’re things that people know but we also made for Glaxo Wellcome, the world’s supply of AZT for treating AIDS. It was the first very powerful drug, until two years ago, for treating that disease. We made Wellbutrin, the world’s supply, for treating depression. A huge number of drugs, cardiovascular drugs, we made almost a hundred different drugs so we were contract manufacturing these drugs for large pharmaceutical companies. And then the second thing we were doing was developing processes to make their new drugs and that’s where we started to really take off. The thing that I always remember the most because Jeremy was asking me, what was kind of an exciting point in your life. We went through this consulting business and we built up a nice little contract research company but there was a time when with the stroke of a pen we went from basically 150 people and revenues of $16,000,000 to 1300 people and $375,000,000 and then ultimately built that up to a half-a-billion dollars of revenue. And that came because we were patient and we knew where we wanted to go. We had a dream and we followed it. There were tough times along the road. But, ultimately that was a very, very satisfying point. Andrew: What was the stroke of the pen? How did you do it? And what were you doing? James: Well, this is when we went from Catalytica, we had a small plant in East Palo Alto, California. We bought that plant for almost no money from Sandoz to demonstrate that we knew how to manufacture drug molecules. We needed to; if we wanted to become a global player. We really had to increase the capacity of our operation. So we looked around and looked around. We found a plant in Greenville, North Carolina. That was going up for sale that was owned by Glaxo Wellcome now known as Glaxo Smith Kline. We competed against five multi-billion dollar companies, for example a buyer in Germany, ESN Pharmaceuticals in Holland. We won that and we didn’t pay the highest bid but we were very careful about how we put this package together. We guaranteed the jobs of all the employees. It was the largest employer in Greenville, North Carolina. So we made a lot of people happy. That’s how we went from basically 150 people to 1300, basically and signed a contract. Andrew: And this all started when you walked in the door of Pfizer, who didn’t know who you were and what your company did, how did you, with that kind of environment, how did you know who the right person was at Pfizer to talk to you? And how did you convince them to give you a shot? James: Well, one of the things, Andrew, that we had is we put together over the years is a really, really good board of directors. And one of the people on our board, was Earnest Mario. Ernie had been the CEO of Glaxo Pharmaceuticals. He had left there and was an entrepreneur running some other things on his own. And so people like him, Paul Cook, who started Bray-Camp Corporation, a billion dollar specialty polymer company. Then eventually we got Barry Bloom, who was the executive Vice President of Research and Development for Pfizer. He sat on our board. So these people were all able to advise us about the types of people we should talk to and how to get to them, and what was the best way to approach them. The board is really, really, critically important. Andrew: I see. What other kinds of advisors and mentors have you had? James: Well, we had a number of, in the technical end; we had a number of professors in various areas of science and technology all around the world. Palo Alto, because our labs were located in Mountain View, right next to Palo Alto, we were fortunate to be able to have access to some of the best legal advice, some of the best banking advice, some of the best, through our venture capital investors, we had some of the best financial people. And so, really it pays to, even when we were small, we had expensive lawyers. We had Wilson Sonsini, one of the premier firms in Palo Alto, California. In fact Larry Sonsini, who started the firm up, was one of the advisors to us for a long time and helped us with our IPO. So having people that may be expensive but are tops in their field was, I think, critical to help us move along. James: That’s probably the worst thing that ever happened to us in our entire professional career. Certainly speaking for myself and for Curt, he would say the same. What happened is, without mentioning the company name, we had a large privately held company, came on with a significant interest in Catalytica. They wanted to get into catalytic process technology. So they wanted to fund, instead of starting their own laboratories. They wanted to fund us. They put in, let’s see, 15 million dollars a year in research, contract research. And what happened is one of the people in the company decided after one year that he didn’t’ like funding contract research. He convinced his brother and partners to get out. They gave us almost no notice. It really was a significant battle and the only way we could save the company at that time was to let go 20% of the company. It is the only layoff we ever had. But had we not done that, the whole company would have gone under. That was a terrible decision. I mean a terrible thing to have to make, but it was the right decision. It’s very difficult for people who stay behind to see their colleagues go. Some of the people eventually when we got back on our feet, we hired back. That was a really tough one. I guess what we learned out of that, is never bet your company with a lot of money on one source. No matter how wonderful they tell you things are going to be. The other thing is I think that Ricardo and I had a sense from the beginning that our basic values, the way we run a business with the way they run a business, were really very, very different. I’m not making a judgment about right or wrong. I’m just saying their values were different than ours. Andrew: What were the two values? James: One of the things that for example, they were very hierarchical. Somebody at the top makes a decision and that’s it. It’s like, oh, you do it. We didn’t have that. We built teams. We were collaborative. Yes, we made decisions but we tried to get the best information from smart people in the company. That wasn’t the way we liked to function. I think they didn’t hesitate to fire people on the spot. When we let people go, we fired people when it didn’t work out. We tried to make it work out. But we did it compassionately. We worried about where these people were going to go. And we tried to help them. That’s different. Those were two values that we just weren’t in alignment with. Andrew: Could they fire your people? James: No. But what they did was they could take money out of the company. Within three months, they gave us three months notice. There was no way we could make up for that loss. Andrew: I see. You’re saying that you partnered with a company that had the same concern for their employees as you did, they would’ve understood. Hey, if we’re taking funding away from these guys. They’re going to have to let their people go. That’s not something that we do. That’s not our values. We can’t allow them to do it either. Andrew: And before that, maybe say, they’re different, we’re different. We operate in our own little world. It’s fine that we’re different. Then you realized there was a clash. And that’s important. James: Precisely. If they had said, ‘Look, this is not working out. We thought we’d like to be in this area. But we’d like to phase out. Let’s find a way that we can do that that doesn’t hurt both companies. That would’ve been wonderful. We would have accepted that and understood it. But not bang, like that, with a hammer. It wasn’t the right thing to do. Andrew: You stayed with the company for how long? You left before, I mean, you left day-to-day operations before the sale. Right? James: Yeah, just before. I was helping Ricardo. That story is pretty straightforward. My first wife who’s deceased, was a screenplay writer. My middle daughter Polly, who is now Polly Cole. She’s an actress in Los Angeles. Jane had written a script called ‘What matters most’. She wanted Polly to star in this movie. So I said, ‘Well you know, we’re in the process of selling our company. I’m going to start a film company for my wife because this is her dream.’ We had enough money to do that. We’re going to go out and [??] ourselves. So we did. We started of all things because I didn’t know the future. At Chateau Mcely which is where I am now. I started a company called Chateau Wally Films. It’s because that was the name of our estate in Ojai, California near Santa Barbara. So we were just getting ready to go out to the Panhandle of Texas to shoot this film. Unfortunately, Jane found out that she had stage four breast cancer. There is no stage five. You pretty much know what’s going to happen when you get stage four. So I said to her, What do you want to do?’ She said, ‘I want to shoot this film. I want to make it.’ And I said, ‘All right.’ So I called her oncologist at Stanford University. And the doctor said, ‘I’ll arrange for her to get chemo every week, every Friday in Amarillo, Texas. Because we were shooting in the panhandle just outside of Amarillo. And she did, she shot the film. And unfortunately, she knew she was going to pass away. But she got to see the movie. She died one month after we finished the film, after it was fully edited in th can. She never thought it would be distributed. I said, ‘What should I do with it?’ She said, ‘Go to Lifetime Television, the largest cable network in the world.’ I went there and I told them, ‘Sherry Lansing sent me.’ They looked at it. And they said, ‘Well, it’s not bad.’ And they took it. They took it for three years, and it became one of there best films, and they renewed the contract for another three years. So that’s how ‘What Matters Most’, which you can buy now on Amazon and other video places, that’s how ‘What Matters Most’ got made. And so that was kind of a one step for me. Also, I felt comfortable being back in entertainment. I was dealing with entertainment people. Even though they were movies, I had been in rock and roll, I kind of understood their mentality. And so there I was. And the movie, we also submitted it to a number of film festivals, and it won in three or four major international film festivals. That’s how I got incentivized to try to get it out there and have it distributed. Andrew: You know, I used to ask interviewees, “What’s the best part of having made it?” At the end of the interview where we go through all the trials and tribulations of building a company. And they often would say, “The freedom to do what I want.” For you, is it the freedom to do this with your wife, to produce what matters most? Is that the best part of your success? James: Well, yes. I would say, in that case, the best part of my success, and it’s still what I like to do, I love to inspire and motivate people to do great things. Not just small changes, but great things. And I like to provide the capabilities around them, so they can do it. With success, if you asked me one of the major reasons for the success of Catalytica, it was because Ricardo and I, yeah, we were smart enough to know certain things, but everybody we hired was much smarter than we are. What we knew how to do was hire smart people, and inspire them to do great things. And that’s what I still like to do. That’s why we’re balanced. I really like to inspire people to do great things for themselves, because when you find out what you’re good at, and my wife is good at writing screenplays, and you connect it with a need in the world, the film is a beautiful film about doing what matters most in your life, you get passionate, that’s really what you want to do, that’s your sense of purpose. It’s exciting. Andrew: I want to talk about balance, and ask you a question about that. Because I think just the title, alone, is going to make some people in the audience think, “No. That doesn’t work, already.”, before they even give the ideas a thought. But I want to ask you about hiring people who are smarter than you. You saw the hesitation I had to even ask you about the technology because I didn’t want to look like a fool in front of you, I didn’t want to look like a fool in front of the audience. Well, when you hire someone, and they’re counting on you for guidance, and you have to say, “I don’t understand that. Can you explain it to me like a nine year old?”, that’s a challenge, right? Where they loose respect for you. Where they feel like, “Maybe this guy doesn’t know enough to lead me.” How do you deal with that? James: Well it’s not that dramatic, Andrew. Here’s the way it works. James: I understand chemistry, chemical engineering, physics, generally speaking. And so if I hired, let’s say, an organometallic chemist, or a chemical engineer, and the chemical engineer is developing a process, I know enough to ask the right questions. I don’t know how to solve all of the equations to design a reactor, or maybe synthesize the molecule, that’s organic chemistry, but I know how to ask the right questions, and I know how to get to the essence of, “What is it we can do with this that would be great?” And you have to know a certain base load. You can’t just say, “I don’t know anything about chemistry, and now explain it to me.” That would never work. You have to have a certain background. Once you have that basic background, what you do is you hire the best financial person, the best organic chemist, the best commercial development person, the best chemical engineer for your VP of engineering. Then what you do is you try to get out of them how to put the pieces together and make something really big. And then you stretch them. You say, “Look. I think we could do this.” And they go, “Uh, I don’t know.” And you send them away and say, “Please, think about it.” And they come back, and most of the time, they find a way to do it, because people always underestimate how smart they are. They’re generally much cleverer than they think, especially if you provide the right environment, or an incubative environment where they can be passionate. Andrew: So the right environment, and then you say, “Think about it for a little more.” And that gets them to stretch beyond what they though they could do? Andrew: Because you had confidence in them, is that part of it? James: It’s because you have confidence in them. And the thing that they always want from Ricardo and I is: We created the dream. We said, “Look. Catalytic technology could change the world. It could change the world. Don’t you want to be part of changing the world for the better? Do you want to put a dent in the universe so that when you die, someday, forget about the money you’re going to make, yeah, that’s going to be nice, but don’t you want to just say that you’ve helped a lot of other people do something better?” And everybody wants to do that Andrew. And you know that. You’re an entrepreneur. Everybody, that’s why you’re doing what you’re doing. You really want to help other people. James: And that, that touches your soul. That touches your spirit inside. That gives you a sense of purpose, your life a purpose, a tremendous passion and ability to hang in there. Andrew: You know what James, I remember in the beginning, when Mixergy was just me and a part time editor, I wanted to inspire him to edit and to not just see this as a small job that he had to do but something he wanted to do because it was going to impact so many people. And I said, you know what I should do? Is tell him about all the people who are going to watch this interview. Who are going to be changed by this. Who will one day will then come back and do an interview themselves because of something they learned because of an interview that he edited. And then I thought. Oh. But if it doesn’t work out, you’re going to look like such a fool. Why tell him that this is going to be so big. What if no one is watching right now. Maybe? How do you get over that inner voice? James: I think what you do is after some time, and it doesn’t happen early on because we’re all afraid to ask dumb question in the beginning. You have to sometimes realize that asking dumb questions is not a bad thing to do for two reasons. One is there is a lot of other people around you that want to ask that same dumb question but their ego won’t allow them. The second thing, and it’s equally important, it makes you vulnerable. And when you are vulnerable in front of another person. When you are not afraid to say I don’t know the answer to this. That other person says wow. I mean, think about it. When somebody does that to you and says look, I really don’t understand that. Can you help me with that? All of a sudden you want to help them. You don’t think, oh what an idiot. Very few people with think that. They connect with them. They connect with that vulnerability. Andrew: What about the stupid questions that our own brains ask us? Like, you’re about to do something and the brain says who are you to go give this presentation? Who are you to interview James – this guy is so? Who are you to tell your employees, 1300 of them, that they’re going to change the world. You’re not Steve Jobs to refer to one of your neighbors. Do you ever have one of those thoughts? How do you deal with it? You’re smiling because you recognize it. What do you do with them? What are those voices in your head and then what do you do with them? James: Well, I think what I do with it is I first, I have to believe it. I can’t say anything I don’t believe because people will know. So I think the first thing you do, is when you’re going to tell somebody something like you’re going to change the world, let’s say, you have to truly believe it. Really deep down, not just mentally. You have to believe it in your conscience. And when you do that and you think about it and you say we really think we can change the world. I really think we can. Darn it. I know we can. I know we can. Then, it’s a matter of how do you communicate it to certain people. Because I’ll never forget. Prince Eltenberg was our VP of engineering, and the first time I interviewed him I said someday we’re going to be a 100 million dollar a year company, and don’t worry about the money, that’s going to come as a consequence from changing the world. And he was from Holland. He was laughing and said let’s go have a beer. You’re dreaming. And slowly over time, over one, two, three, slowly, he got more and more close to believing. Finally after about three years he said, I’m with you. I’ll follow you wherever you want me to go. So it’s not always, you can talk to the editor and in 30 seconds he or she is going to say oh yeah, I got it. Sometimes it requires a process that they have to see that you walk the talk and that you deliver. And that many times you deliver the things you say you’re going to deliver. And you earn trust. You earn credibility by what you do. You’ve got to be patient and there are people that hang in there. Some people never do. There are exceptions, of course, for a variety of other reasons. Andrew: Steve Jobs, as I mentioned earlier, was your neighbor for five years. James: He was. Yes. He was my neighbor. Andrew: What was that like? What did you learn from him? James: I learned a lot of things I didn’t want to do. James: Well, I had tremendous respect for Steve Jobs in terms of his, how shall I say, his drive? His ability to create the future, but I must be very honest that he and I are diametrically opposed with respected management styles. There were a lot of bodies left along the path in Apple. And so, with all do respect, he and I disagreed on a number of things. For example, he felt that he always knew what to do, I mean, generally speaking, and he would tell people to go do it and if they couldn’t do it he would verbally abuse them. Some of them would take it and they’d go back and figure a way to do it. And some of them were highly motivated, look at his track record, you can’t argue with a track record. However, I will tell you without giving the details because I have a lot of respect for him, especially now that he’s deceased, and I really don’t want to talk about it. I think there were a lot of people left behind that got damaged and hurt because of his style of management. Yet, it tremendously helped the company. The development of the iPhone itself…there’s some numbers, I don’t know if you’ve ever seen these iPhones in my book. When Steve and his group were developing the iPhone, it came out in 2007, in June of 2007, I think. And I guess, after two years, three years later it had profits of $1,100,000,000. Just the iPhone, that group, not Apple, just iPhone. Andrew: So what lessens do we draw from that, getting now into the book, Balance? What lessens do we draw from that? James: Here are the lessons that I would say, if you want to have short-term successes in a project you can manage the way Steve managed. If you want to have long-term success, I mean, build people, build leaders, no replacements for yourself I don’t think that’s the best way to manage. I think the best way to manage is to inspire people by getting the best out of them for themselves and for the company. Andrew: And tell them how they’re going to dent….What I’m seeing from your management, Sal [SP] you just kept painting blue skies, saying this is where we’re going, we are going to change the world. Think about the impact that you are going to have after you’re dead. James: Yeah, exactly. When you’re laying down on your last day before you’re going to die what do you want to have $5,00,000 000 in the bank or do you want to say you’ve changed the world for the better…yeah, but that $5,000,000,000 you can’t take with you. James: You might be able to take the spiritual component, I don’t know where you go after you die, but you might be able to take that spiritual beast with you that you changed the world because that’s intangible, that’s not something you could put your hand on. Nobody could ever take that away from you. They can take your money away, but that can’t the fact that you changed the world. Andrew: The title of the book is Balance and the quote that I read came out of Amazon which provides a proven template for creating successful business, and simultaneously long-term balance and fulfillment in your personal life. Does life really work that way? I mean, if you were just a self-help guy who was selling Balance as a concept, I’d go, these self-help people are selling a dream. Real entrepreneurs know you focus insanely on your business to the exclusion to everything else and then you come back to the second half of your life and you pay attention to your personal life. Isn’t that the way things work? James: Well, that is the way things work very often, yes, it is. And in fact, that’s the way it worked in the early part of my life and it’s only over time that I learned the power of balance. Let me tell you what I mean by that. What most people…many entrepreneurs don’t know because they’ve never achieved balance, they’ve focused most of their energy professionally at the expense of personal things. That’s usually the common thing, it happens very often in Silicon Valley, and the divorce rate is very high and that kind of thing. Andrew: If they even get married in the first place. Andrew: I’m sorry to interrupt but I really want to understand this concept because at least if you’re at your desk at 11:00 reading the same contract four or five, even seven times, hopefully by the end of the seventh time you’ll have understood the contract. Andrew: But if you’re family at 11:00 or sleeping at 11:00 you have no chance of understanding that contract at 11:00, so how are you more efficient by spending more time away from work? James: No, what I’m saying is that you have two things in your life. You have your personal life with a bunch of things that you need to do, you have your professional life with a bunch of things that you need to do. What I’m saying is the amount of time you have to both of those things when you’re in balance goes down, so you can get most of them done. Now it is true that sometimes you have to say to your family, if you’re really concerned about it, look, for the next two months I’m doing this acquisition, I’m really going to be out of pocket, but when September gets here, or whenever it is, we’re going to take a nice long vacation and I’m going to get back in shape again. And that’s okay, occasionally, because there’s sometimes that requires that. The acquisition is not so welcome, but that’s basically what I said to my wife at the time. I’m going to be gone for next several months but when it’s over, this is what we’ll do, and I came back afterwards and got back in balance with me family and children. Andrew: How does spending more time with your family make you more efficient when you’re at the office? James: For me spending more time with my family makes me more efficient, it may not make other people more efficient and I’ll tell you why. In order for you to be balanced between profession and personal you must put one other thing together and that’s a values based plan. Okay? James: And I show how to do that in the book and when you have this values based plan, I’m not making any judgment on what is right or wrong. What’s important to you in your professional, in your financial, your knowledge, and your spiritual, whatever the case may need your help. There are six spheres that I talk about and you have to come up with those values and you have certain goals within those values. And if you follow those goals and if some of them are to spend a certain amount of time with your children, if those are really, not just saying it, but they really are deep down what you want to do, if you violate them you will not feel good, if you do them you feel great. And if you feel great you do your professional stuff even better. That’s what I found. Andrew: I see. All right, the book of course is Balance. When is it going to be released? Andrew: April 16th, so we’re going to publish this interview after the book is released so people can go to Amazon and get the book. You are an entrepreneur who’s done it, and who’s now written a book. What’s the point? I kind of find that entrepreneurs who have done it, write biographies to have everyone else ogle their success. People who haven’t done it, write self-help books so that other people can look at them as leaders and maybe get some success with it. It doesn’t usually happen like this, why did you write this book? James: I wrote this book because my sense of purpose right now, everything I’m doing in my life, every single thing that I’m doing, both professionally and personally, is to help people achieve their dream. With my wife, Annes [SP], her dream has to do with Chateau Mailly [SP] and some of the things we’re doing here. And I support her with my…and many of the people here I’m building professionally and entrepreneur and that excites the heck out of me to inspire leaders for the next generation. So that’s why I wrote Balance. I want to try to get the benefit of what I learned to young people, or to the older folks who just never discovered on how to live a life of fulfillment. Because my feeling is, if you live a fulfilled life you do both professional and personal things well. If you are fulfilled only professionally, but you lost your family, there’s a piece in here that you lose. But if you’re very successful with your family and you never achieved a goal that you want professionally you are equally [??]. So the question is there’s got to be a way to come and raise many people. I spent 30 years in Silicon Valley. Most the people in Silicon Valley would say, “Gee, I don’t know about that. I’ve never tried this balance thing. I really wonder if it works, because I’m working 100 hours a week as it is just to be able to get promoted, and get those stock options, and whatever the case may be.” I think if you keep doing that you get burned out. You may have some money in the bank, but quite honestly Andrew, I think it’s not all about money. Everything I ever did where I made a lot of money was because I was excited about what I was doing. I wasn’t thinking about making a lot of money. I think there’s three ways to look at your profession. One is a job. I’ve got to go do something to make money to pay for the mortgage and the car. That’s fine. Okay. Certain people have to have a job. The other is a career. If I reach these goals I’ll get promoted and I’ll get a stock option. The third, and that’s really been my whole life, is a calling. It’s something inside that says to me, “I’ve got to do this. If I do it right, I will find fulfillment professionally and personally.” I had a calling both personally and professionally and I put them together. I really want people to be able to find that it’s possible to do. You don’t have to buy this burnout business of being an entrepreneur and thinking you have to work 90 hours a week or 100 hours a week only professionally, and try to sneak in a Saturday once a week with your kids. By the way, if that’s with your value system, I’m not even going to make a judgment. If that’s really what you want to do and that’s what’s important to you, then that’s what you’ve got to do. Most people–that’s not what they want to do. They want both. They want a profession and they want their family, or whatever supports them personally. James: And you will do well. I guarantee it. I really think there are very few things in this world that you can do when your passion and you have the commitment, the patience, you don’t really want to think that you’re going to do this is six months. Whatever you’re passionate about, you have to enjoy the journey, and truly enjoy. The Buddhists got it right. Enjoy the journey. If you do that; somehow, you’ll wind up being successful and making money. I guarantee it. Andrew: This is coming from a person who’s done it. We’re talking about half a billion dollars in revenue roughly. Sixty million dollars in free cash flow, a marked value of about a billion dollars. Congratulations on your success and on writing a book where you’re passing on what you’ve learned to other people. The book of course is called Balance the Business Life Connection. That’s what it is. James: Can you do the website for that? Andrew: Yeah. What’s the UR.. I shut down my browser because I didn’t want it..
James: I’ll say it if it’s alright. It’s www and then it’s the title of the book, Balance the Business Life Connection .com. Andrew: It’s a really nicely designed website.